Ceuta, Spain– October 27, 2015 – Kanta Motwani recently joined a select group of business experts and entrepreneurs from around the world, along with Best-Selling Author® Jack Canfield, originator of the Chicken Soup for the Soul® series, to co-write the book, “The Soul of Success, Vol.1: The World’s Leading Entrepreneurs and Professionals Reveal Their Core Strategies for Getting to the Heart of Health, Wealth and Success.” The book was released on September 16th 2015 by leading business book publisher CelebrityPress™. 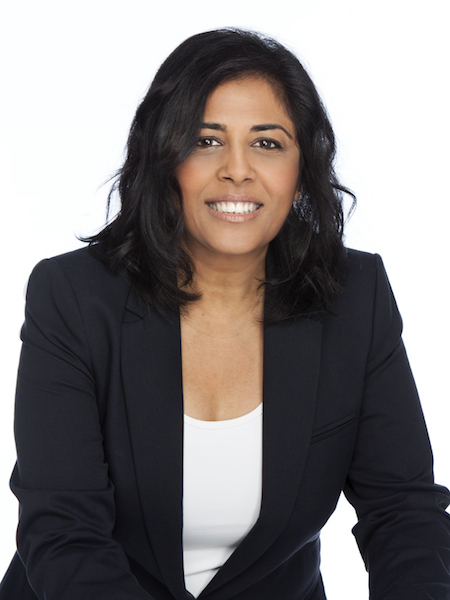 Kanta Motwani is a Professional Holistic Therapist, Personal Development Trainer and Coach whose talent and approach has inspired many individuals to lead a healthy self-aware life. She is passionate about helping people, and has successfully coached and empowered women, and men from all walks of life, ages, races and religious beliefs through her private sessions, Teleseminars and Workshops. She uses transformational healing tools and proven success methodologies that help her clients achieve their goals and dreams, live a happier life, enjoy better health and achieve professional and financial success. Kanta´s life circumstances created an ardent desire to give hope to people by telling them about her own story and how they too can take responsibility for their lives and begin to enjoy freedom and good health. She left behind a career as a Computer Based Trainer and IT instructor and her business during difficult and negative circumstances. She overcame these barriers and started to study energy medicine, energy psychology and to attend personal development trainings. Kanta has combined her wealth of knowledge in science proven methods that she studied and spirituality and uses her passion to enjoy a vibrant and healthy life motivating her clients to accomplish their goals through specific methodologies for them to take on greater challenges to produce amazing breakthroughs. Success is a concept universally embraced but individually defined. Our definition of success truly depends on our individual goals. For example, your goal might be monetary, a physical accomplishment or a moral achievement. To flesh out this topic, we are adding a few comments made by famous and successful people in diverse fields - similar and familiar concepts to those put forward by the Premier Experts® in this book. In our New Economy, the acquisition of success has been reformatted somewhat by business and industry even though its principles remain the same. The Electronic Revolution has changed the economic landscape as much as the Industrial Revolution. We now live more and more in "real time" and expect others to do the same. This era of instant communication has changed the ways in which we communicate and expect responses. After such a successful release, Kanta Motwani will be recognized by The National Academy of Best-Selling Authors™, an organization that honors authors from many of the leading independent best-seller lists. A portion of the royalties earned from The Soul of Success will be given to Entrepreneur’s International Foundation, a not for profit organization dedicated to creating unique launch campaigns to raise money and awareness for charitable causes. Kanta is a graduate from Thames Valley University in London. Professional Holistic Therapist, Personal Development Trainer, Best-selling Author, and Facilitator of various modalities in the field of Alternative Medicine and Energy Psychology. She is the President of a non-Lucrative Association that contributes to international humanitarian Projects, Founder of Surya Awareness Academy® and Developer of the Sadguna Heart Sadhana® a 90 Days program to build your Self-esteem. She is the author of the forthcoming book “My life Journey to Self-awareness”, and owns a private consultancy in Spain. She delivers Teleseminars and Workshops on Personal development and Self-Healing. She is a trained certified Aura and Chakra Biofeedback Counsellor from the Auramed Institute in Germany, Dorn-Breuss Massage Therapist by the DMTA in the UK, Facilitator of Quantum Entrainment technique, and has been Trained as a Practitioner of Be Set Free Fast Energy Psychology Method. Celebrity Press™ is a leading business, health and wellness book publisher that publishes books from thought leaders around the world. Celebrity Press™ has published books alongside Jack Canfield, Brian Tracy, Dan Kennedy, Dr. Ivan Misner, Robert Allen and many of the biggest experts across diverse fields. CelebrityPress™ has helped launch over 1700 best-selling authors to date.